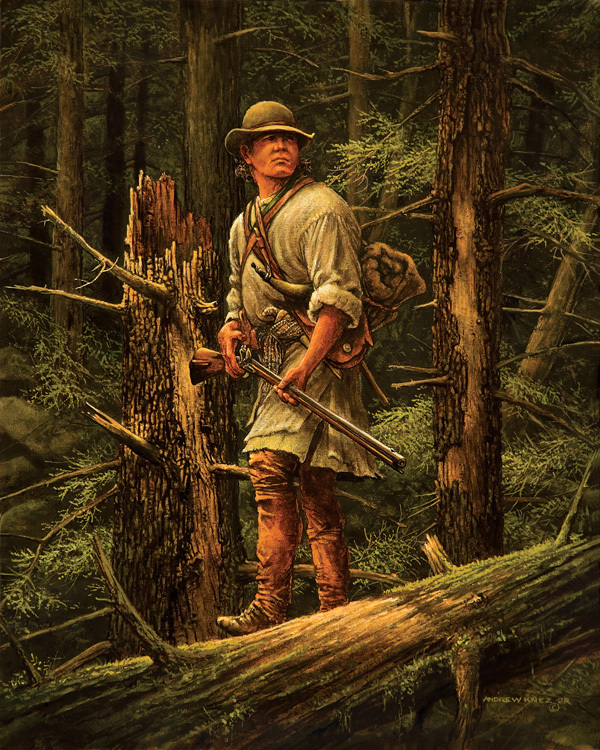 Many tales have survived and been told and retold about the legendary rifleman and his "rifle-gun" (usually referred to as a Pennsylvania or Kentucky longrifle), during the 18th century. Their feats of exceptional accuracy frequently leaves the modern skeptical reader with the question; how factually accurate is the story, or is it just another "big fish that got away" story? The detailed description by Indian trader, George Morgan, pertaining to a wager that he made with British Captain Gordon Forbes in 1768 exemplifies and gives perspective to the unquestionable abilities of those men and their longrifles. Forbes claimed that any Frenchman or Indian could hunt better than an English hunter and bet one hundred dollars to support his claim. The wager of one dollar per shot, up to one hundred shots, at a barrel head (approximately 20" wide) at 100 yards distance, or as many shots beyond that as the officer pleased, was agreed upon to determine the abilities of Morgan’s hunters. Jacob Daverbaugh was the hunter selected to be the shooter. Daverbaugh wanted to "try his powder", so he set up the head of a small keg at 100 yards and hit it ten out of eleven shots. He then announced that he was ready for the contest to begin. Prior to the start of the contest, Morgan had told Daverbaugh that he would present the one hundred Spanish dollars to him if he won them. The hunter placed shot after shot, without a miss, into the barrel head until he completed his hundred shot string, thereby winning the contest, the money, and a lot of prestige.